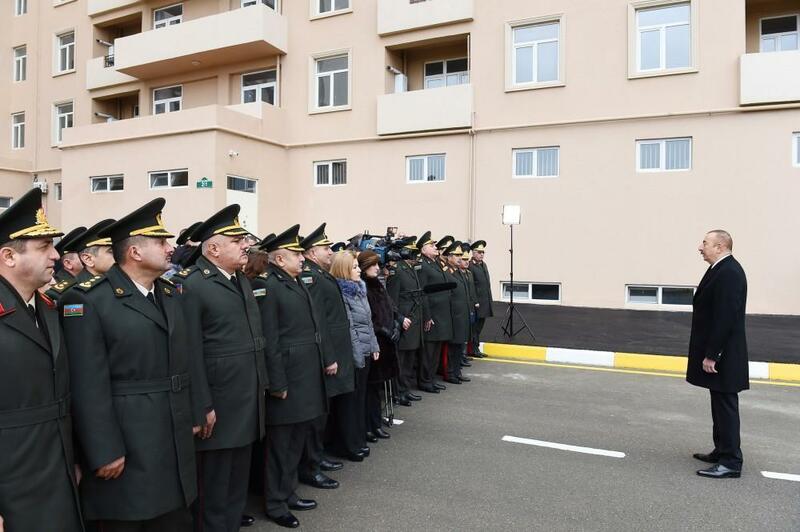 Thousands of houses and apartments have been built and given out to families of martyrs and the Karabakh war disabled in recent years, said President of Azerbaijan, Supreme Commander-in-Chief Ilham Aliyev at the ceremony to give out new apartments to servicemen in Sabunchu district. “This year alone the state has given apartments to 626 families of martyrs and the Karabakh war disabled, and at least 800 apartments will be provided to them next year. At the same time, the state gives cars to persons from this category. Thousands of cars have been given out to them,” said the head of state. President Ilham Aliyev emphasized that problems of people suffering from the war are addressed. The head of state noted that 5,800 IDP families have been provided with new houses and apartments. “This is a record indicator in the last years. We will continue this policy next year as well,” added President Ilham Aliyev.